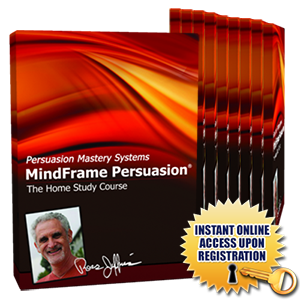 Our Persuasion Blueprint self-study courses are available instantly online. Begin your learning in just 2 minutes! 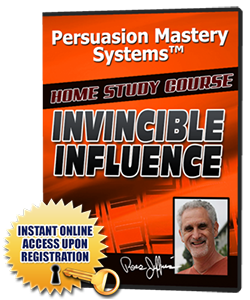 Discover the “original” system that blasts through “Persuasion Killers” that block your prospectfrom doing what you want, and enjoy a fantastic power to irresistibly influence others! Persuade your prospects to fork over the cash, sign the contract, make the deal, or just about any other juicy result you can easily and powerfully imagine… and make them think it’s their idea!